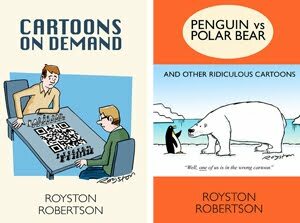 When I found out last week that there was another cartoonist called Royston, working in Australia in the 1940s, I knew I would need to uncover more about my namesake. After numerous emails to cartoonists in the UK and Australia, primarily John Jensen and Lindsay Foyle, consultations in reference books on artists, and a fair bit of poking around in dusty corners of the internet, I found out a lot more. And here’s the headline news: Royston was a woman! “Royston” was the pen-name of Victoria Ethel Cowdroy, better known as Vic Cowdroy, an Australian cartoonist, painter, sculptor, illustrator, filmmaker and commercial artist. I feel like a bit of an underachiever compared to this Royston. 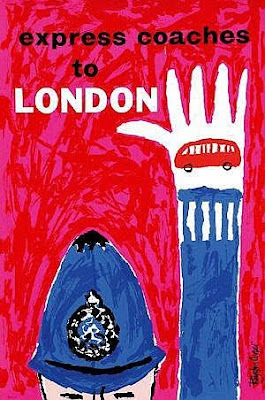 A poster I found in an online auction, credited as the work of Vic Cowdroy, circa 1965. Intriguingly, it is signed “Royston Cooper”. Cowdroy was born in 1908 and moved to London after the Second World War. 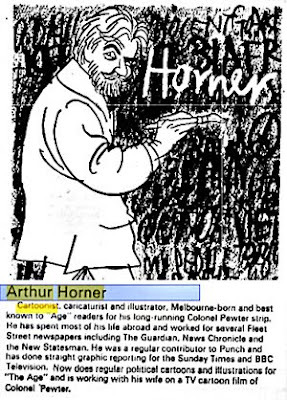 She married cartoonist Arthur Horner, creator of the strip Colonel Pewter. They lived and worked in Britain until the mid-1970s when they returned to Melbourne. She died on 26 June 1994. From The Age, Melbourne, Dec 31, 1977. Note the reference to Horner working on a Colonel Pewter film with his wife. I couldn’t find any more "Royston" cartoons online (if you have any, please do scan them and send them to me) but this piece does contain some very entertaining transcriptions of her Man cartoons, which were more than a little risqué for the time. So, lots of information uncovered on Victoria Cowdroy, but one mystery remains: Why earth did she chose the name Royston?! Many thanks to cartoonist John Jensen for being the first to tip me off that "Royston" was a woman. John's father was Jack Gibson, one of the key artists at Man, and John met Vic Cowdroy a few times. Thanks also and to Lindsay Foyle in Australia for a heroic amount of research, finding out info from colleagues and looking Cowdroy up in reference books on Australian art. And cheers to Matt Buck, Andy Davey, Jason Chatfield and Nik Scott.